Michigan cannot decide if it’s summer or fall right now with swings in temperature from 90 degrees to low 60’s and then back up to 80. That’s fine with me because I can’t decide if I’m ready to let summer go, either. I spent last weekend with my sister in law and we walked around the Ann Arbor farmers market under gray skies with our jackets on. 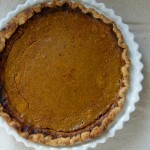 We still saw basil, tomatoes, corn and summer squash, so I guess it’s not too crazy to share this recipe in September. 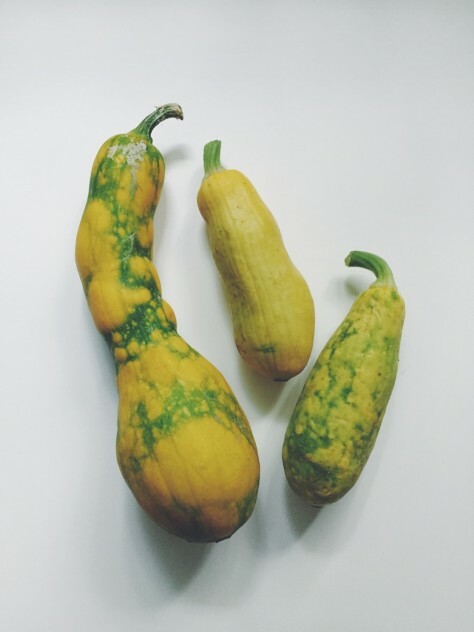 I feel like many of us end up with extra zucchini or summer squash while drawing a blank on how to do something different with it. How about this for something different? This squash gets a quick sear in the skillet to caramelize the outside and then it marinates in a vinaigrette for an hour. The result is really flavorful and beautiful and no-fuss. I like to make this right when I get home from work and by the time Marc is home, it’s all done. 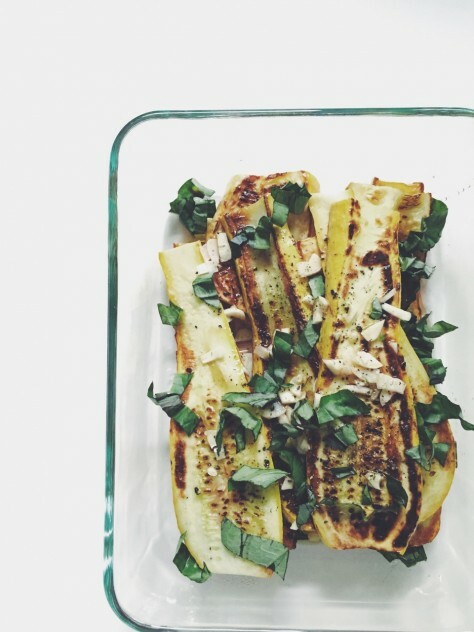 Summer squash and zucchini are the kind of vegetables that people either love or they hate. In my house I love it, he doesn’t. 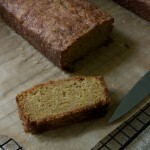 I’ve snuck it into many recipes over the years, with mixed results. This is the best squash I’ve ever had and you know what? He said it was the best he’s ever had, too. Unsolicited. So you know it’s good. Slice squash or zucchini into 1/4 inch slices. Add 2 tablespoons of oil to a skillet over medium heat. Cook until golden brown, about 3 minutes per side. Transfer cooked squash to a shallow dish and sprinkle with sea salt. Cook the rest of the squash, add more oil to the skillet if needed, until all of the slices are cooked and salted in the shallow dish. Whisk together garlic, vinegar, 3 tablespoon of extra virgin olive oil, pinch of salt and lots of freshly ground pepper. Pour over squash and sprinkle with basil. Gently toss with tongs and taste for salt. 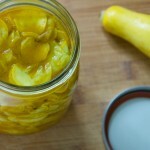 Let squash marinate at room temp for an hour before serving. If marinating for longer, put in the refrigerator and let come up to room temp before serving. 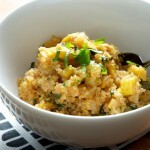 Love this recipe and the transition from Late Summer into Fall with summer squash  So good! !